To celebrate the launch of the TechRadar Phone Awards 2011, we have teamed up with Microsoft to offer 10 lucky readers the chance to win one of 10 stunning Windows Phone 7 handsets. We have five Dell Venue Pros and five HTC 7 Pros up for grabs. Both handsets are packing the Windows Phone OS, the only operating system to offer both Xbox and Office. Windows Phone 7 smartly fuses your personal information so Facebook and Windows Live information is available at your fingertips. The Dell Venue Pro comes packing a slide-out QWERTY keyboard, a 1GHz Qualcomm Snapdragon 8250 processor, a 5MP camera with digital zoom, geotagging and touch-focus and 800 x 480 4.1-inch OLED touchscreen. 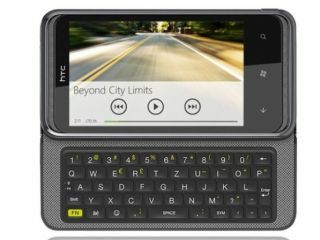 The HTC 7 Pro also has a slide-out QWERTY keyboard, has a 3.6 inch, 480 x 800-pixel capacitive screen and a 1GHz processor. To be in with a chance of winning a handset, head on over to the TechRadar Phone Awards 2011, vote for what you want to win and you will be directed to the competition page.